Better this than your sofa, right? It’s important that they do this, and they particularly enjoy stretching close to where they sleep and wake up. Scratching posts are ideal for this! 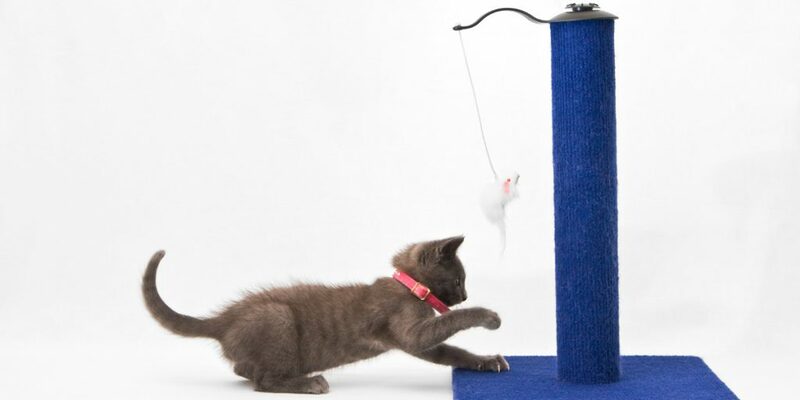 You can play with your cat near the scratching post to encourage it to use it. If your cat doesn’t take to the post right away, spend a bit of time coaxing them to play with it. 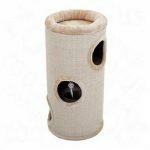 Cats can easily become spooked by new objects around their habitat, so don’t expect them to take to their new scratching post right away. Best for price. 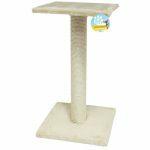 This is a great and low cost scratching post that your cats will love! 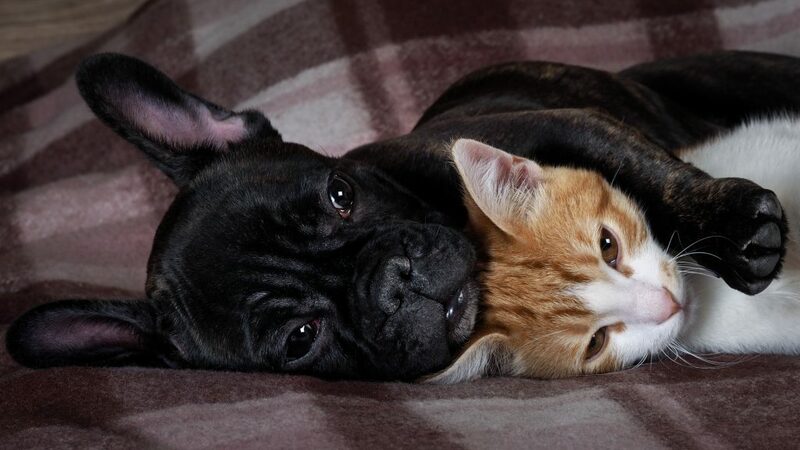 Best for friends. If you have more than one kitty and want a bed for them too, this is the perfect combination of scratching post and cat house. Best for stretching. 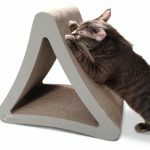 This sturdy scratching pad is great for cats who really love to get their claws out. ARTICLE: Where do cats like to be petted? You’re sitting there watching your cat sharpen their claws and wondering to yourself, “where’s the best place to pet my cat (and is it worth the risk)?”. Fear not! We’re here to help! This article looks at some of psychology behind cats and where they like to be petted. Got any questions about cat scratching posts? Do cats generally prefer the vertical scratching posts or the pads? The pads look more stable particularly for larger cats – is that right? It really depends on the cat. Mine prefer the pads as it helps them stretch out better. The vertical posts are very popular products as well though. Are the vertical posts a good enough quality and material to withinstand a lot of use from active cats? It looks like they would topple easily. Yes, the scratching posts are pretty solid. The central columns are secured to a flat base, making them much less likely to topple. Obviously some cats will be more prone to trying to knock it over than others though!